We are a licensed motor vehicle dealer for the sale and manufacture of new and used transport equipment and authorised repairer and modifier of heavy vehicles. Used Trailer Equipment – Sell your excess equipment through Haulmore, either directly or via consignment. Service and Repairs – Western Australian Department of Transport and Motor Vehicle Industry Board authorised modifiers and repairers, Haulmore specialises in all types of work from minor servicing to complete rebuilds and major insurance repairs. Used Trailers Offer Affordable Alternative We’re Licensed Motor Vehicle Dealers and will Sell on Consignment Haulmore Trailer Sales is a licensed motor vehicle dealer and the best place to purchase used drop deck, semi-trailers, low loaders, side tippers and water tankers. Purchasing used units is an affordable option to buying new. 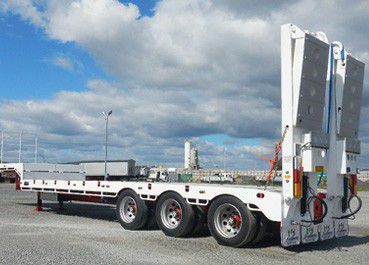 Drop deck, semi-trailers, low loaders, side tippers and water tankers can be expensive purchased from new while buying used is a great money saving alternative. Used transport units can be found in a range of makes and models and are available at significantly lower cost. However, there are several factors to consider before purchasing used. Ask Our Advice The Haulmore Sales team can provide professional advice on what to look for when purchasing used semi trailers, low loaders, side tippers and water tankers and the best unit for your job. Sell your excess transport equipment through Haulmore, direct to us or via consignment, or purchase one of our quality used semi trailers,low loaders, side tippers, water tankers or drop deck trailers. As licensed motor vehicle dealers, dealer license 1771, you can be assured that equipment purchased from Haulmore is free of encumbrance and the units are offered for sale in good mechanical and structural condition. 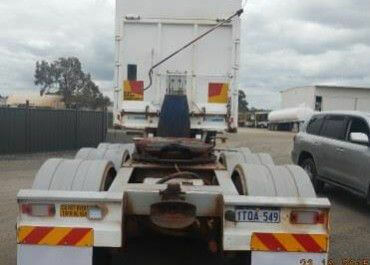 Contact us today to find used trailer's or transport equipment. To allow us to respond to your enquiry promptly, please provide all required information. The fields marked as * are mandatory. Keep in touch. Yes, I'd like to receive monthly updates and news by email.